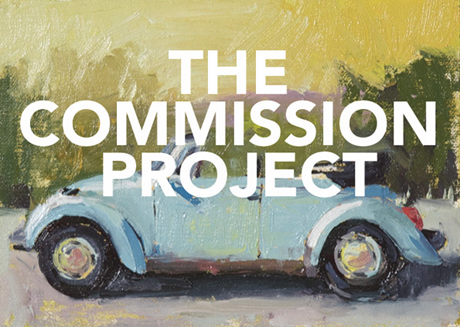 If you’re looking for a quality original 5″x7″ painting, you can check out Paul Ferney’s commission project. I follow his wife’s blog, Oh Happy Day! and she posted about the project this morning. What a great idea… Send Paul a photo and $200, and he’ll send you a painting by December 1, just in time to adjust those Christmas lists. Hurry though, the first 100 people get the deal. After that, the price goes back up to $350. I love this guy’s style. If I had a studio, a nanny and a production assistant, I would love to dream up a venture to paint for people on demand. Hmmm, that’s three strikes so I guess I’ll have to keep living my own life.